Thoughtful and comprehensive, DEVELOPMENTALLY APPROPRIATE PRACTICE: CURRICULUM DEVELOPMENT IN EARLY EDUCATION, 4/E, is designed to meet the needs of new early childhood students as well as experienced teachers, professionals, and parents. It provides an overview of the concepts and theoretical foundations of developmental practices and discusses the practical implications for teachers and caregivers. 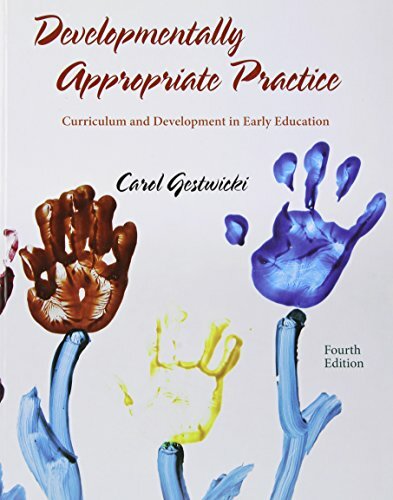 This edition, thoroughly revised to reflect the new NAEYC position statement on Developmentally Appropriate Practice (third edition, 2009), also includes new content on aligning early childhood teaching practices with national education standards, in addition to many new student-oriented features and applications. Section I explores developmentally appropriate practice, including an in-depth section on the theory and research of play as well as discussion of early learning standards in curriculum development. Students also learn how well-known curriculum approaches fit into the principles of developmentally appropriate practice. Subsequent comprehensive sections, which discuss the physical, social/emotional, and cognitive/language domains, individually address appropriate practice for infants, toddlers, preschoolers, and primary-aged children. Section V, available on the text website, discusses how teachers can make changes that result in more developmentally appropriate practices and how to gain support for those changes with families and communities.